In fits of nostalgia, I have bemoaned the loss of bygone items and activities. No, not 8 tracks or vinyl, but more like the bliss of ignorance. Somehow, not knowing what everyone I know ate for dinner last night or that a hit and run accident happened in some town called Smartsville hundreds of miles away is something that strikes me nostalgic. I miss the quietude of select pieces of information entering into my sphere of knowledge. I miss the word intrusion that had meaning, not like now where it will be erased from common usage given that there is nowhere to hide from anyone else in the world. In particular, however, I will miss the bees. Not just because I grew up with them, just like I grew up with aluminum street roller skates and homemade skateboards of wood blocks mounted atop those skates. But because our world depends on them, more than we know. I am not an alarmist. I shy away from ringing any alarm bells for a cause as I am a subscriber to the crying wolf wisdom. Save the fire alarm for what most needs sounding. The bees need a five alarm fire warning, for they are sounding bells for us in their departure. Why are the bees leaving us? Not that they are going off for good. Most bees abandoning us are domesticated slaves to the agriculture industry, shuttled from farm to farm to pollinate crops, but it’s not only the pesticides that are killing off these slave bees. Those in the wild know better than to go where the pesticides waft in the wind through miles of wheat stalks or almond trees. It’s also the stress. The suffering, farm-raised, overworked honey bees are one of the most threatened populations–enslaved pollinators chained to their instincts and the dollars that drive their keepers and chemical companies. While the EPA as well as the world looks away. 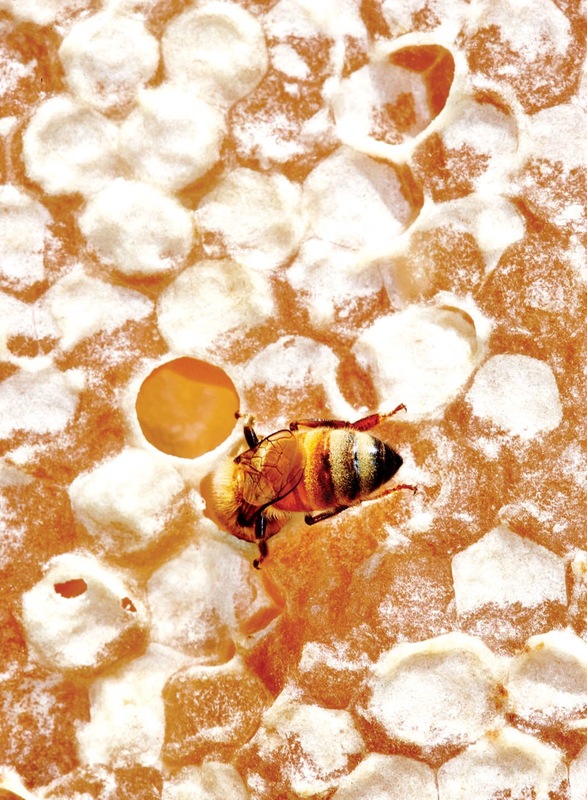 Bees are responsible for a third of all we ingest. Agribusiness practices include bee transportation across countries where they are released to pollinate crops: a month feeding on blueberries then another month on almonds and another month on some other fruit or vegetable plants, season to season, place to place. Keepers earn their keep. The artificial dietary conditions and non-stop travel schedule stress these insects that vibrate to one another and radar their stress all along the colony, a highly systematized bee industrial complex inside the hive. They want out. The smart bees have left the building–abandoned their hives, collapsed their colony. They punched their final time card in the clock. Stress and pesticides are forcing the bees out. Their disappearance is a message to those who can decode it. I will miss the bees.